All new high-res cube map and improved reflection for character / NPCs eyes. See mountains/architecture in the reflections! 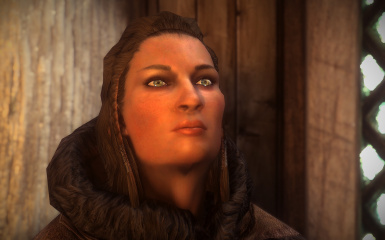 Works with all eye texture mods. Very tiny addition I made to my game and thought I would share. Mod Authors: If you'd like to include this as part of a follower, or other NPC mod, please feel free, I just ask that you please credit me and link back to this page. Cheers! This is a very small addition I made to my game, but it actually had a marked visual improvement so I thought I'd share. This is a brand new cube map & environment map for character and NPC eyes. 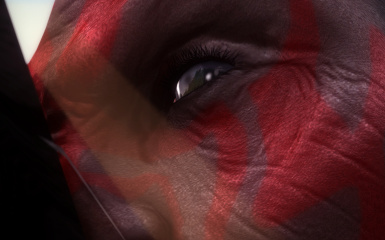 This will work with any eye texture mod, and does not alter meshes. It's simply two textures. 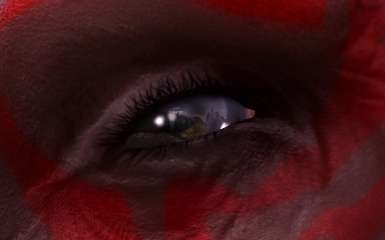 The vanilla cube map for the eyes is extremely tiny, having literally a couple of pixel dots for the eye reflections. It was also masked to only reflect on the iris itself. Furthermore, lots of the dots crossed over in the cube incorrectly, so they would get cut off and cause lines in the eye reflections. I also expanded the environment mask to reflect this cube map on most of the eye, and slightly diminished on the pupil. 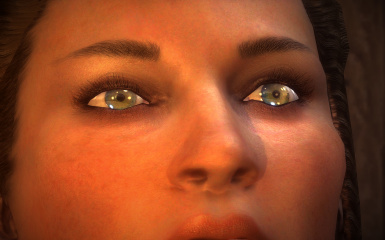 The overall end result is a brighter, more 'wet' looking eye, that is frankly really pretty. FAQ: "BUT IS IT WEIRD THAT YOU SEE EXTERIOR REFLECTIONS WHEN INDOORS?" This might be an unnecessary detail for you, and if so, just skip it. If this is the kind of detail you like in your game, for screen archery or simply "OOH AHH" factor, you'll probably like this. 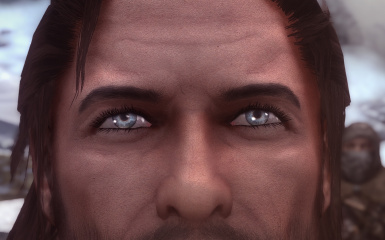 Eye Normal Map Fix - This alters the normal map to make the iris concave, like it is in real life. 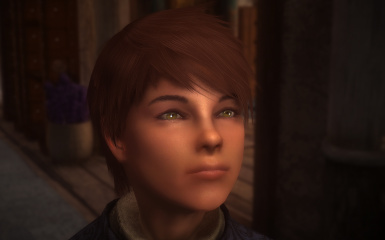 VERY realistic and highly recommended in conjunction with ANY eye texture mod you like. 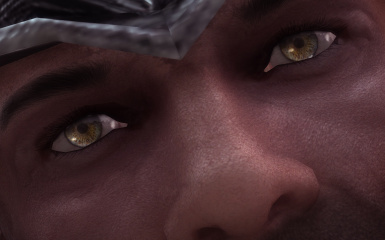 The Eyes of Beauty - My personal favorite eye texture mod. Very realistic but bright and clear. Simply add with your favorite mod organizer, let it overwrite the files if there is another mod that conflicts. Simply remove the two files / uninstall with your favorite mod organizer.